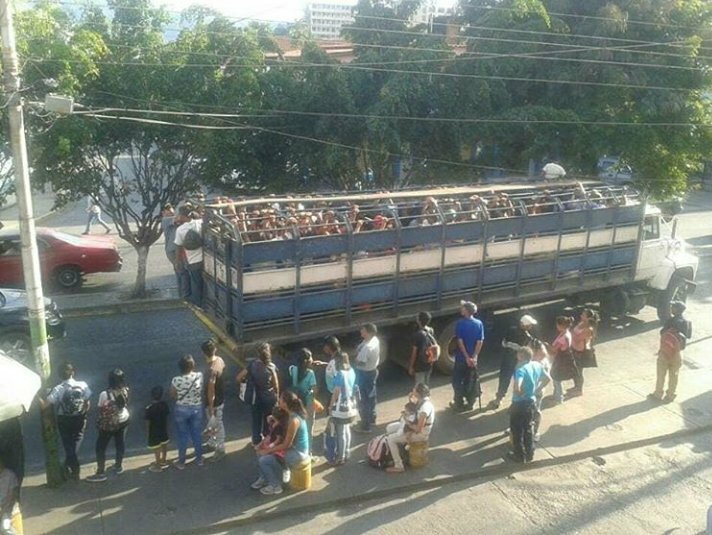 There are many reasons that have generated an arduous transport crisis in Venezuela. The scarcity and high replacement costs, faults in the fuel service; the deterioration of the roads and, of course, the lack of cash. Already the buses that previously toured the cities do not abound. 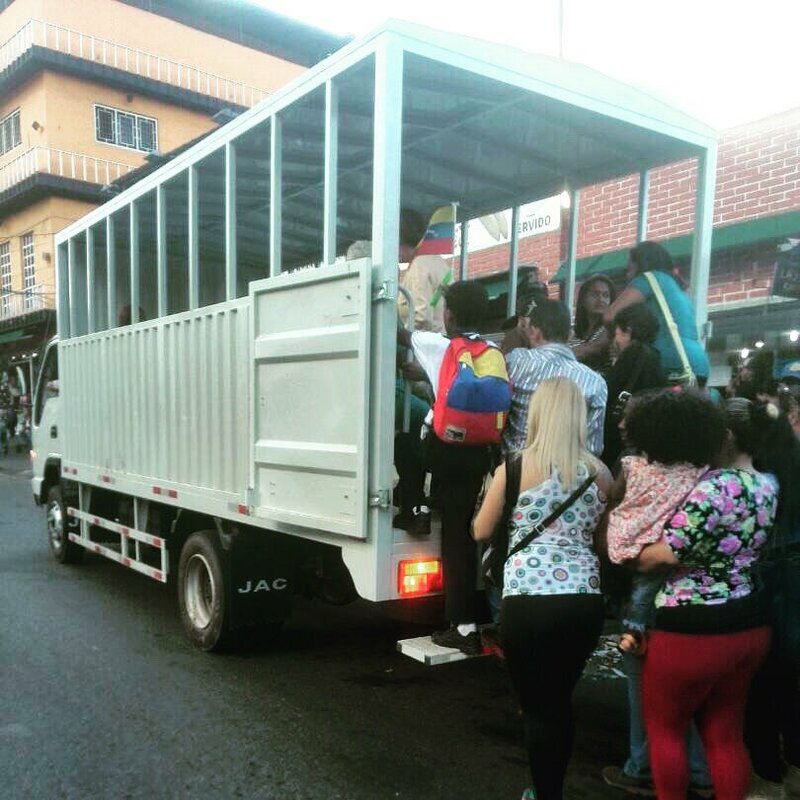 On the other hand, cargo trucks have assumed the task, and with this they have contributed to the abolition of the dignity of a citizenship increasingly subjected to oppression. 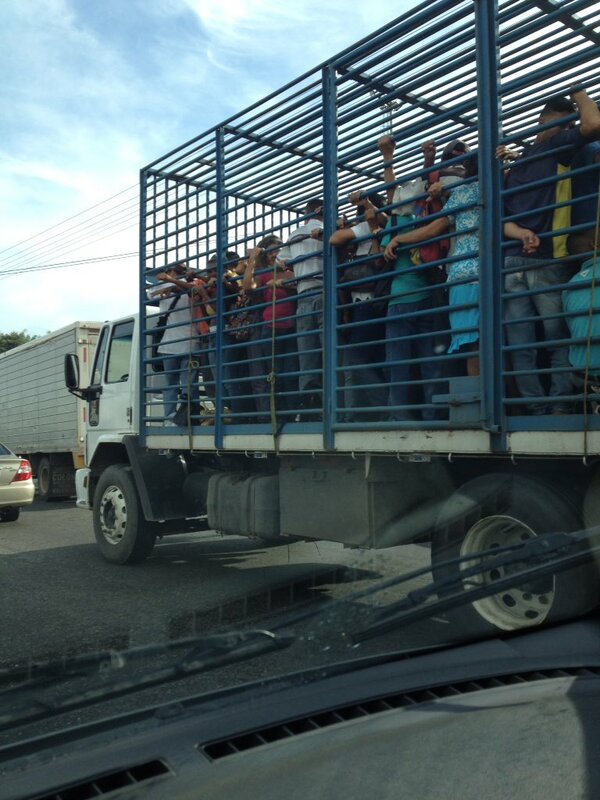 The anthology of images is unpleasant: people in the back of trucks. Standing and holding the bars to avoid falling. As pigs. 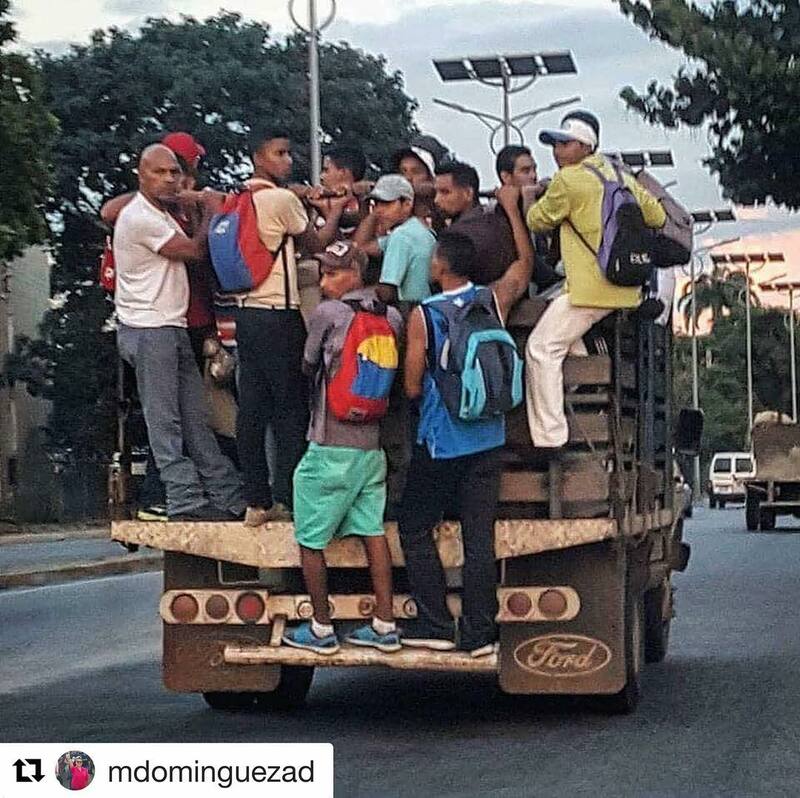 In addition to this, Venezuelans must suffer an arduous humanitarian crisis: food is scarce and its value has increased considerably. Also the medicines. 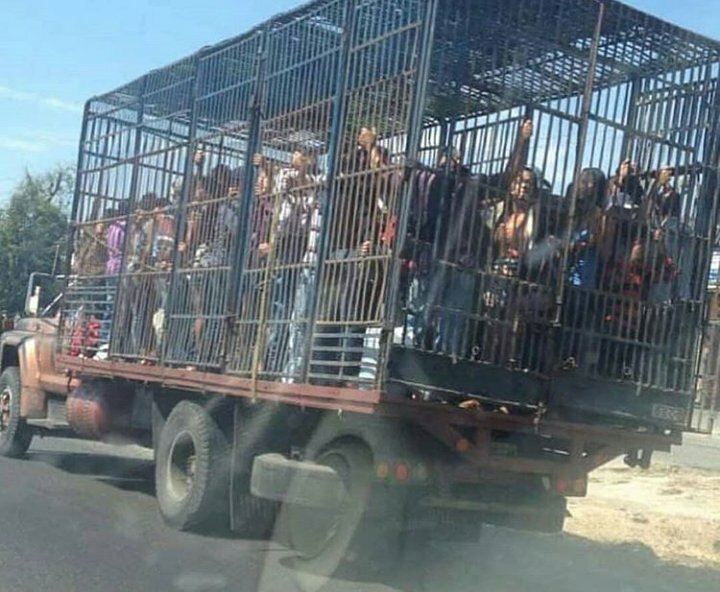 The shortage of these, according to the NGO Convite A.C., arrived in March of this year at 90%. An alarming number. It is, certainly, an unbearable situation for an increasingly subdued and hopeless society. The sense of urgency becomes obligatory. Please share this and reach all parts of the world. Thank you all for reading, thank you for your support.